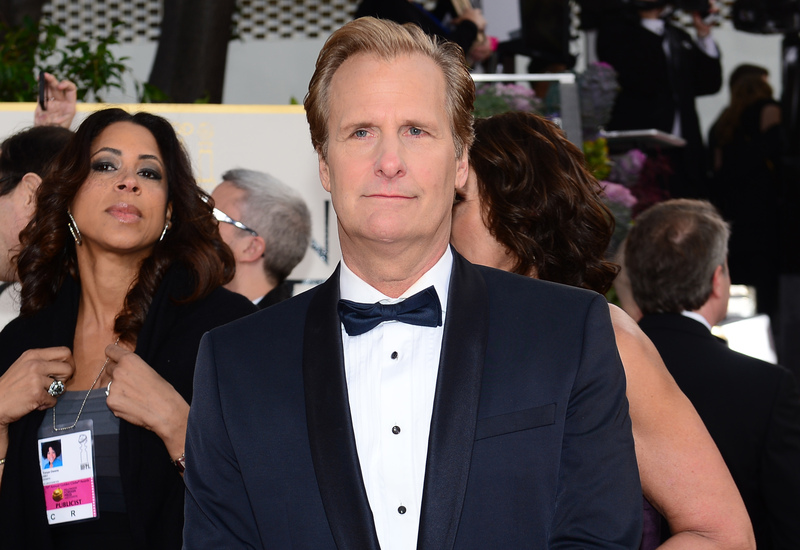 Tonight at 9: Jeff Daniels, live, and "In The Chair"
As HBO's hit program "The Newsroom" prepares to launch its second season this Sunday, tonight "Piers Morgan Live" invites Jeff Daniels inside the studio for a live conversation. Playing the lead role of newsman Will McAvoy, Daniels is no stranger to taking a position "In The Chair," as he'll do this evening opposite Piers Morgan as part of the show's signature interview segment. Having first appeared alongside executive producer Aaron Sorkin to preview the show prior to its debut, this evening marks Daniels second visit to the CNN program, but first by himself. A decorated film star who's worked with everyone from Jim Carrey and George Clooney to Clint Eastwood and Sandra Bullock, Daniels' resume includes a trio of Golden Globe Award nominations, as well as five full-length musical albums. Join "Piers Morgan Live" at 9 p.m. as Daniels shares his remarkable insight and candid commentary as part of a live interview on CNN, the television network upon which Atlantis Cable News (ACN) of "The Newsroom" is loosely based. Meanwhile, Piers Morgan will also have the latest from the country's most famous courtroom, as the George Zimmerman trial hits its eleventh day in Sanford, Fla.
Re the Trevann Martin Court case........ why is Martin's body lying on grass when the attack supposedly took place on the concrete path? And has anyone ever thought that Zimmerman's wounds were self inflicted – perhaps to justify his use of a gun? Has the torch been examined for Zimmerman DNA? May the Jury come to the correct conclusion and the innocent one be revealed. Why was it not brought up in court that in an interview Zimmerman stated that he had no regret of having shot Trayvon Martin?? Also that he is conniving and a liar when he defraud the state of California of money for his trail and if so innocent why the need of two passport?? Information on George Zimmerman's father, (Robert Zimmerman, a former Orange County magistrate judge – retired US Magistrate judge and his mother was a court clerk) Zimmerman had a prior "closed arrest" according to a records search on George, he was previously arrested for domestic violence, resisting an officer without violence and most shockingly, resisting an officer with violence — a felony charge that surely could have landed him in prison. All of those crimes, however, were mysteriously closed with no semblance of charges for the Florida resident. So how was someone with a violent past including that of battery against an officer able to carry a 9 mm handgun? They keep bring up stuff on Trayvon Martin's pass, why have they not brought this up regarding Zimmerman' character also..that he had a violent side of himself also...and because of his parents probably his case was closed????? The Martin/Zimmerman case is Totally about Race! Many years ago, a certain race was tried, judged and executed without the benefit of presenting facts, based on the color of their skin. The other race didn't listen to facts, didn't try to look at the facts from a different perspective, they voted, sided based strictly on color of skin. This is exactly what we have here, every Black Person from the President on down has crucified George Zimmerman from the first day the Doctored 911 call was played. Mob rule, Riot when you don't get your way, look who's the Racist's Now! Why weren't my questions answered? Is this the stock answer to everyone sending in a comment no matter what was asked?